South Korean activist fund KCGI, the second largest shareholder of Hanjin KAL, the holding entity of Hanjin Group, has made an official demand for the country’s transportation conglomerate to set up a governance structure committee and to reexamine the group’s ongoing investment in money-losing businesses. KCGI announced Monday that it suggested a five-year plan to restore confidence of Hanjin Group to Hanjin KAL, Hanjin Transportation and their largest shareholders, which included three goals to improve the group’s governance structure, corporate value, customer satisfaction and public trust. In order to strengthen the management’s responsibility, the fund proposed the group create a governance structure committee consisting of two independent directors recommended by KCGI and three outside experts that will be in charge of reviewing management plans to have a significant impact on shareholder value. Separately, it also demanded to establish a compensation committee entirely composed of outside directors to define reasonable compensations for executives, and a management recommendation committee including independent directors. The activist fund also asked the group to reexamine its loss-making businesses including KAL Hotel Network, LA Wilshire Grand Hotel, Waikiki Resort and Paradise Hotel Jeju. Hanjin Group needs to receive advice from external experts to come up with plans to enhance management efficiency and risk management and rebuild its corporate image seriously tarnished by the recent power abuse scandals of its owner family members, the fund said. 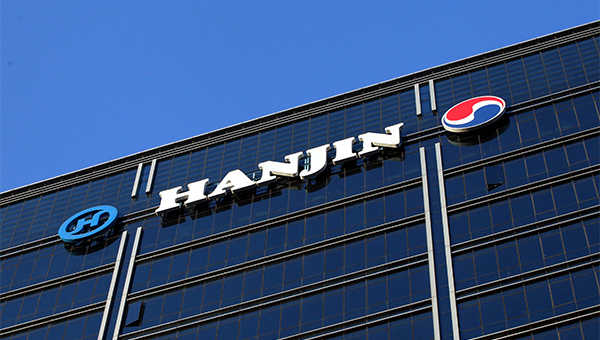 Shares of Hanjin KAL fell 3.35 percent to close Monday at 30,250 won ($26.82) while Hanjin Transportation plunged 6.23 percent to 48,200 won.